a stool that is portable. You and your normal chair do not get on. You are continually on the move and it permanently stands still. 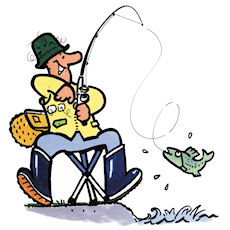 Think for a minute; you like to play golf, hunt, fish and you would also like to sit down for a while. You go to concerts, wait in ticket queues, go for a long walk, go camping and would also like to sit down for a while. You travel, or feel the effects of an injury that hasn't healed, you carry out service work at other workplaces and would like to sit down for a while. There are thousands of reasons for having a stool that is portable. But it should be small, light and comfortable. It must be able to transform itself from a portable package to a steady and comfy item to sit on. The transformation should be so easy to carry out that anyone could manage it. In addition, it should be nice to look at and not cost too much. It should serve as the perfect gift to someone you care for. Now you can buy that stool. It's a genuine Swedish invention and the only one of its kind. No other stool fulfils all these requirements at the same time: it should stand steadily, be comfortable to sit on for long periods (ergonomically designed seat) and last for years and years (quality in every detail). 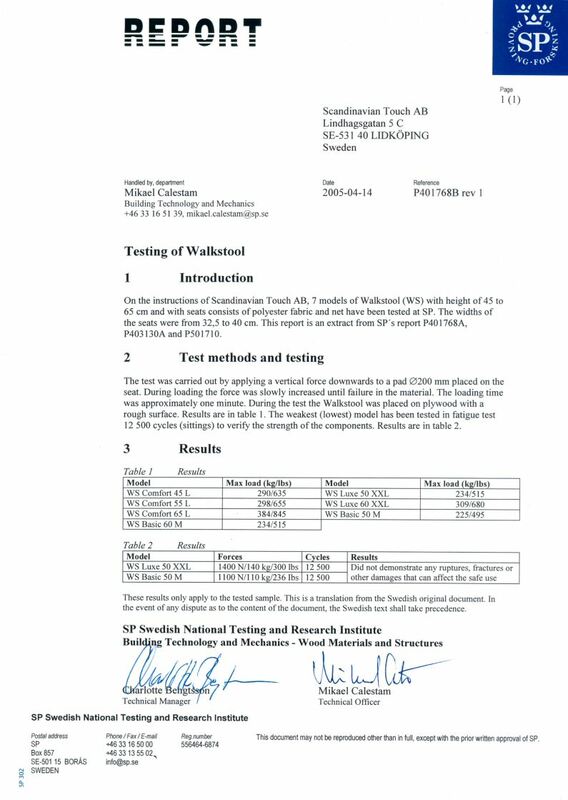 Walkstool is made with telescopic legs of aluminium and a seat of high tech material that has been tested at the "Swedish National Testing and Research Institute", managing a load of between 225-425 kg / 495-935 lbs (follow this link for test result). The stool carries the English name Walkstool as people all over the world are looking for the same solution to the same problem. Look for it in stores for outdoor, sports, hunting and fishing et c.